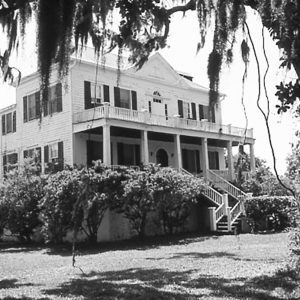 Coffin Point Plantation, a prosperous sea island cotton plantation, became a hub of activity when St. Helena Island was captured by Union troops in 1861. With the Union occupation of the island, the Coffin family fled and 260 slaves were left behind. The United States government developed a plan to train and educate the newly released slaves to prove their effectiveness as free laborers. This effort became known as the Port Royal Experiment.